The cool kid phone from 1996 is back, and it brings many memories with it. The new Nokia 8110 4G was unveiled at the MWC 2018 (Mobile World Congress) held at Barcelona, Spain. This new Nokia phone was released by HMD (the company that is now making Nokia mobile phones) as a part of their “Nokia Originals” series. The first Nokia best seller of Nokia Original Series was the reboot of Nokia 3310. The New Nokia 8110 is one of the best smarphone of 2018 & will be available in May, 2018 with an estimated price tag of around $97, as it is a feature phone. Nokia 8110 is nostalgically remembered as Neo’s cell phone in The Matrix (1999). The Nokia 8110 got its nickname as “The Banana Phone” because of its curvy profile and the convenient sliding mouth piece that could be adjusted accordingly to fit closer to your mouth for better receiving. Here we have compared the legendary Nokia 8110 with the all new successor Nokia 8110 4G, so you may know what’s the new iterations in the flagship after 22 years. 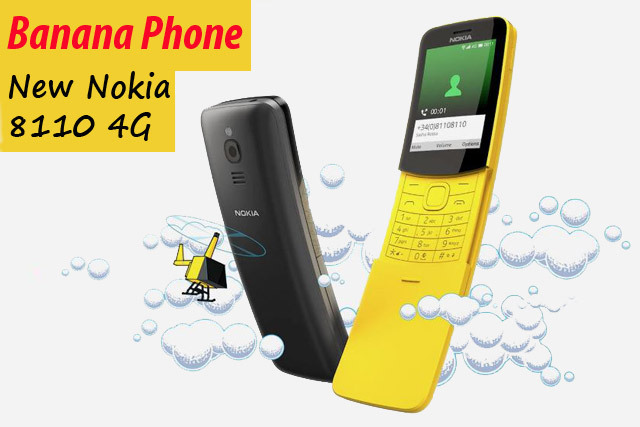 The all new Nokia 8110 4G like its predecessor has the signature curvature to its body and the sliding mouthpiece. The body is made up of solid plastic (classic Nokia style).The slightly heavier body of the phone and the curvy shape makes it a bit hard to fit it in your pocket, but it feels great in your hands while using and especially the smooth slider that makes the click noise is oh-so satisfying. The new 8110 4G is way sleeker than the original, measuring 133.5 x 49.3 x 14.9 mm, as compared to the older model that measured 141 x 48 x 25 mm. It is also lighter (117 g) as compared to the classic (152 g), which is definitely a plus. The new rendition of 8110 also features a small screen just like its predecessor, a 2.4 inches (240 x 320 pixels) TFT screen with 167 ppi. This new screen is fully colored as opposed to the monochrome graphics of the 1996 Nokia 8110. The Nokia 8110 4G is very much different from its predecessor in regards of technology. The phone is fitted with a 2 MP shooter on the back with an LED flash. The original phone only had monographic ringtones, while the new rendition features vibration, MP3 ringtones, audio/video player and a headphone jack. The all-new Nokia 8110 has KaiOS that runs by the means of Snapdragon 205 chipset. The new 8110 4G comes with 512 MBs of RAM and 4 GB internal memory. It also features a microSD slot that offers expansion of memory up to 64 GB. The new banana phone’s major feature is the 4G support that will allow rich app ecosystem. 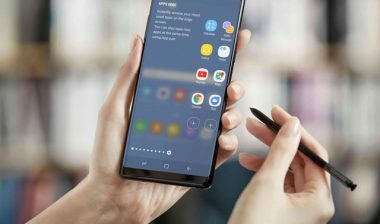 The phone also supports Wifi, Bluetooth, GPS, and a micro USB port for connectivity. The new 8110 4G comes fitted with a Li-Ion 1500 mAh battery that offers up to 600 hours of standby time. The older phone had a removable Li-ion 400 mAh battery that offered 30-70 hours of standby time. The new Nokia 8110 is offered in two colors; the Traditional Black of the original phone, and a new Banana Yellow.